A Tax Break for Hard-Working People! all household members who are going to file or be claimed have a social security number. 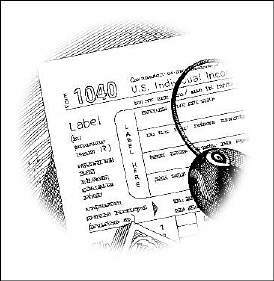 You may qualify for a larger federal income tax refund. Illinois also has a State EITC! Illinois residents who claim the federal EITC may also get a State EITC which can be worth up to $627! The State EITC is worth 10 percent of the federal EITC and is fully refundable. You can only get the EITC if you apply for it on your federal income tax return and you can get it even if you do not owe federal income taxes. You must have received "earned income" to qualify - that includes wages reported on Form W-2 or self-employment reported on Form 1099-MISC or other earnings. If you were raising children, file federal Form 1040 or 1040A and attach Schedule EIC. If you were not raising children, file any federal income tax return. Note: EITC payments will not affect any DHS benefits you are currently receiving.